Big and deep is one thing. Add clarity and that elusive vintage warmth meet the Mercalli 5. 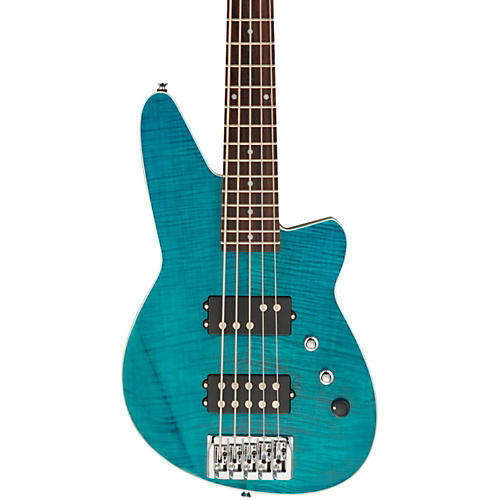 We pulled it off by using a five-piece neck, lock down bridge, and innovative passive pickups. This earthshaker delivers strong fundamental notes on the low B with sustain and punch youd expect from basses costing many times as much. These open-back tuners feature a large gear and a 1/2³ diameter post for smooth tuning and increased durability. The 1/2³ diameter post also has another advantage: smaller posts cause flatwound strings to break when you wind them¦ no problem with our tuners. Neck width at 12 fret: .9"
Order today and bite off exactly what you can chew.